After setting up your blogger site. The next step you might want to embark on is editing or adding CSS to your website template. In the scenario where you are new to blogger. You might just choose one of the free themes during sign up, and because it is so plain, there would be need to add life to it and make it more presentable. 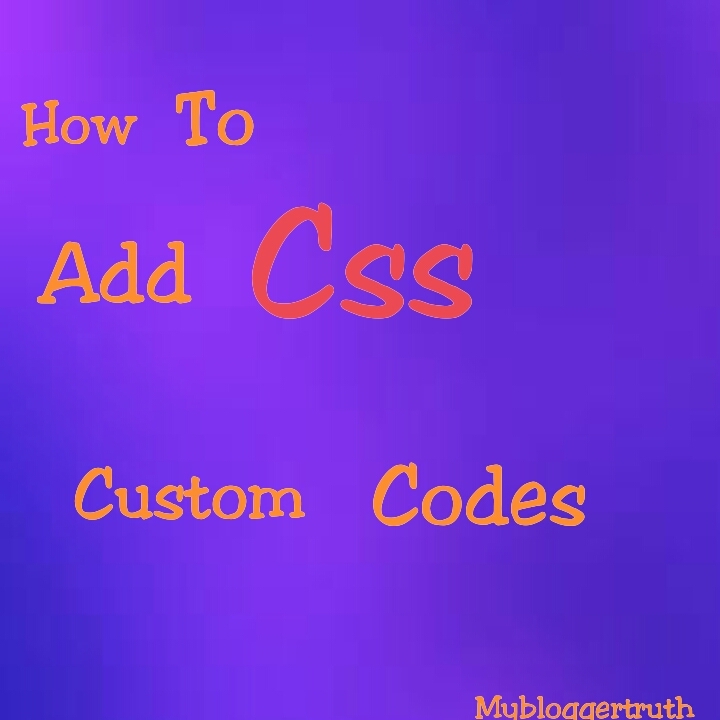 Cascading style sheets (CSS) if used well can change the outlook of your website. It includes styling the entire site's appearance. It can affect particular elements such as; post, titles, menu bar, sidebar, footer etc . 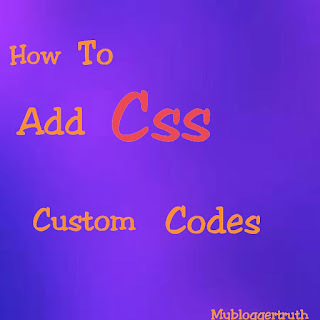 Css gives everyone the opportunity to make their web page unique and different from others of their niche. 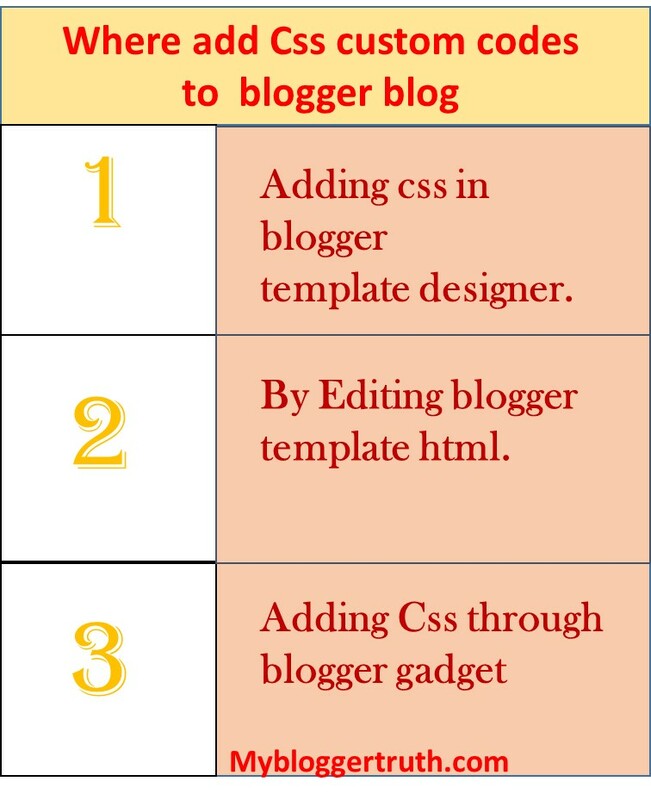 There are several ways of inserting your css code in blogger. I would go through all of them below, then you can choose any one that is easier to implement. 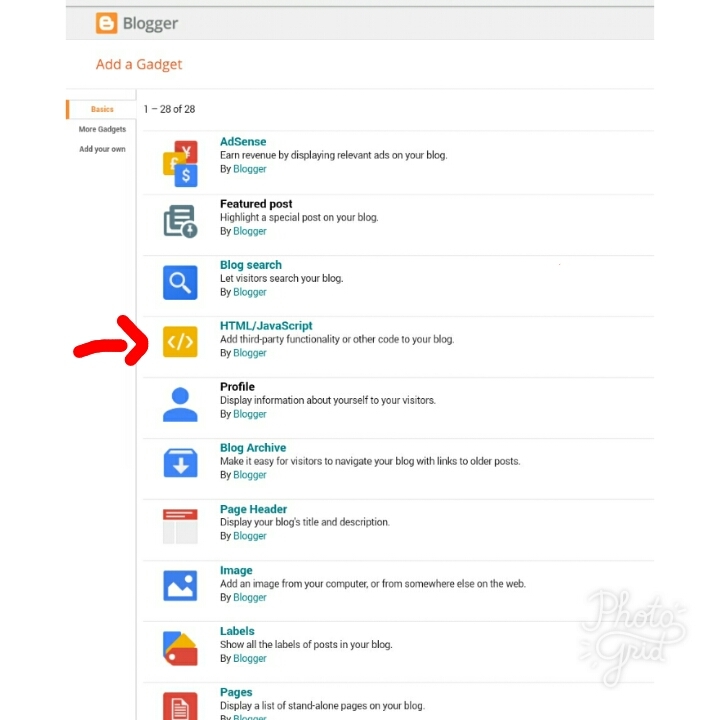 Step 1: First and foremost, login to your blogger account or if you don't have one, you can easily signup (make sure you have a gmail account first). Step 2: After you have logged in, follow this next step closely. 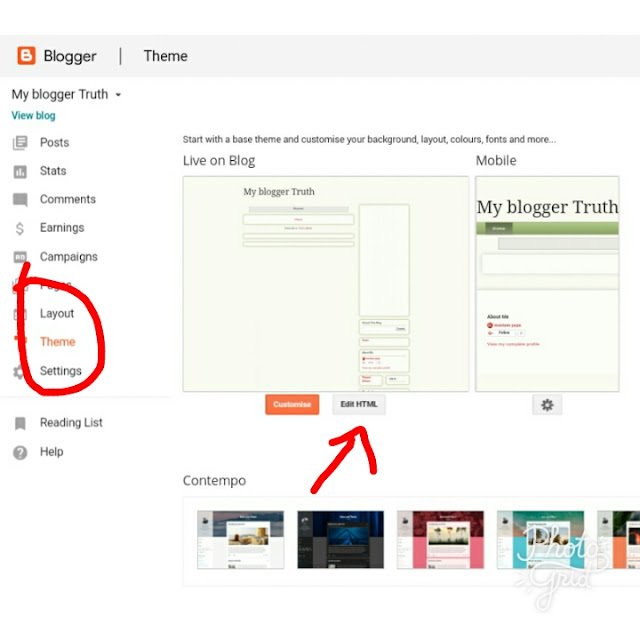 From your blogger dashboard, go to the theme tab on the menu. After the template page opens, click on "customise button". Step 3: Click on Advanced button. After which, you can make selection based on the fonts and colors you prefer. If you are looking to add the css code, click on "Add css" from the menu. Step 4: Then you can add the Css code in the space provided under "Add custom css", to override existing css in your blog. 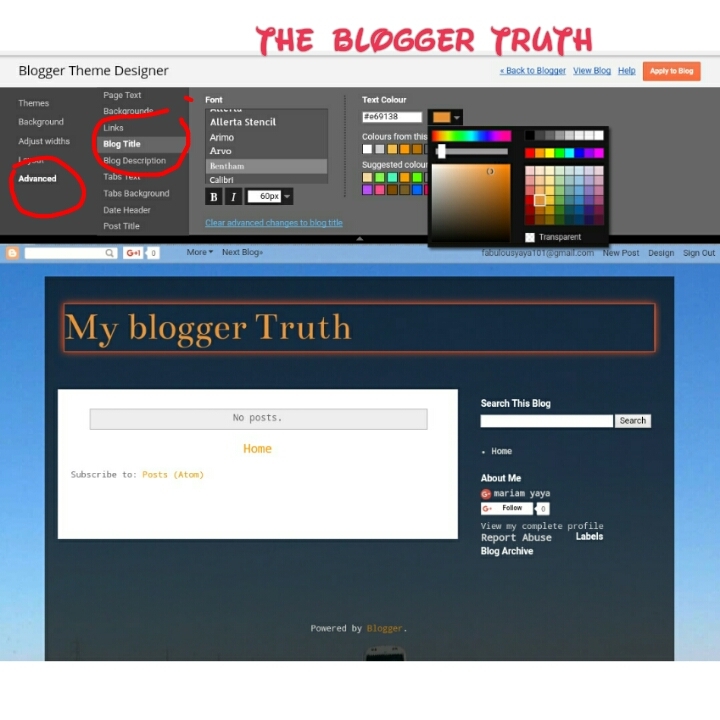 2) By Editing blogger template html. 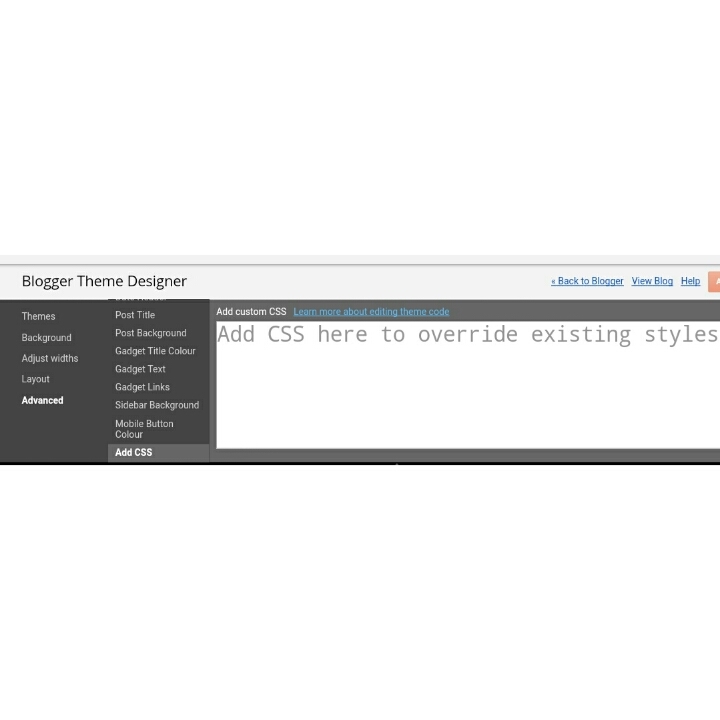 Another way of adding Css is by Editing it right from the blogger template html. Before anyone attempts this, they must have basic knowledge about html codes. To be on the safe side, it is always advisable to backup the original html file before editing. Click on 'ctrl F' on your computer to search for '</b:skin>', then add your Css code above or before it to change any appearance on your blog. 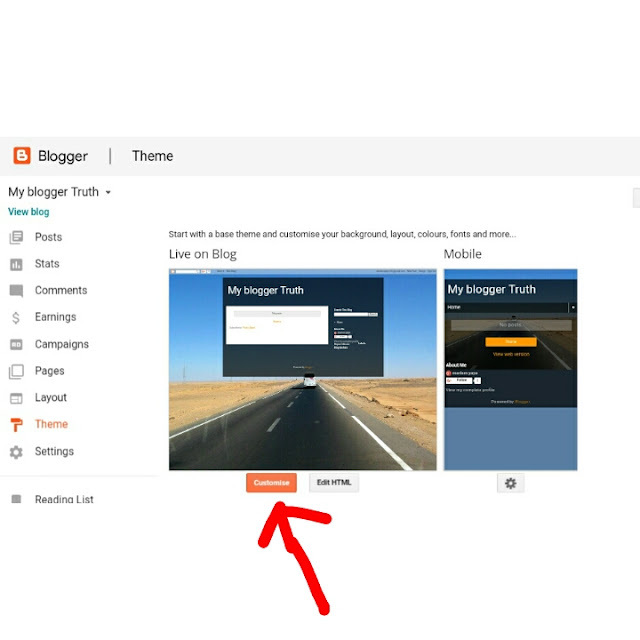 Step 1: visit your blog Dashboard . Step 2: Go to the Layout tab and then click on the "Add a Gadget" link provided on the widget areas of your blog. 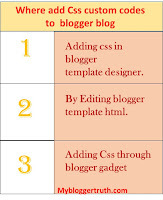 Method 1 & 3 would not cause much damage to the blog appearance if done properly. Although, it is still important to learn basic html editing so you would be able to build your blogger to your taste. After adding your CSS custom codes click on preview at the top left of your blogger page to see if the styling worked well. Thanks Dan. It's good to know you found it useful. Hope to see more of you.